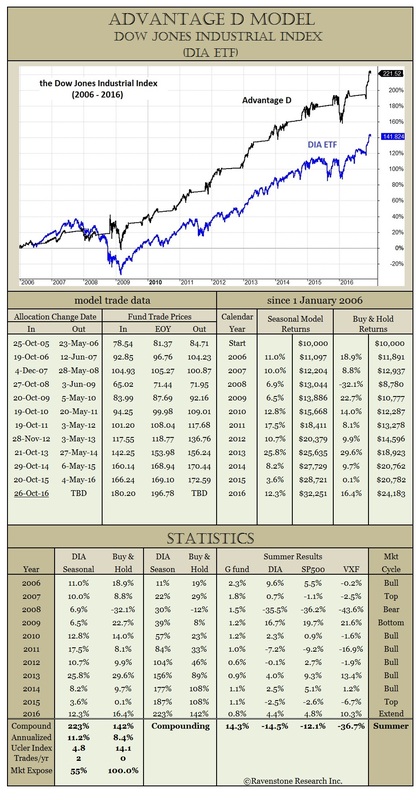 The Advantage D model provides timing signals for the DIA ETF or any index fund that tracks the Dow Jones Industrial Averages (DJIA). The DJIA historically exhibits strong seasonal tendencies making it a good large cap fund candidate for our Seasonally-Modified Buy & Hold strategy. 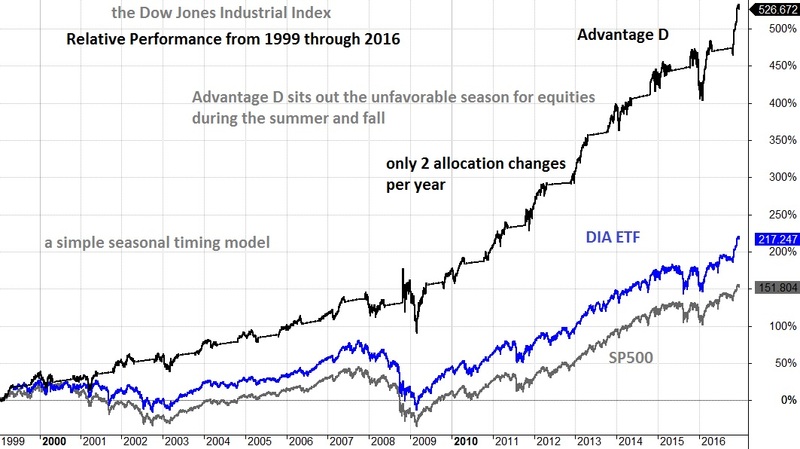 We adopted and modified Sy Harding's original seasonal timing strategy and applied it to the DIA ETF. 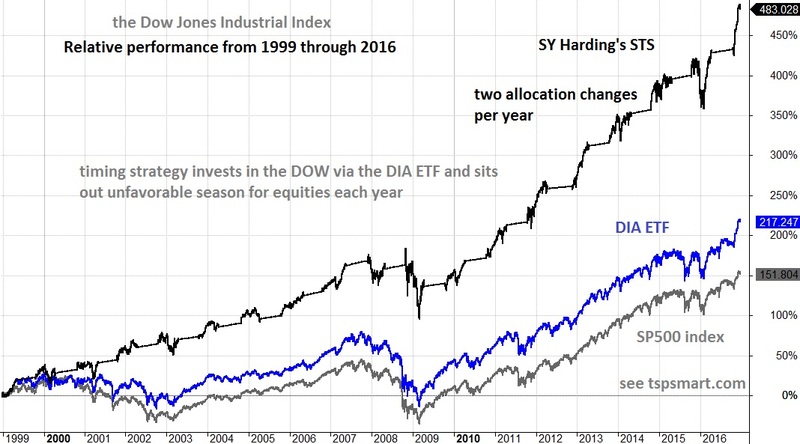 The charts go back to 1999 based on when the DIA ETF first became an option to invest in the DJIA. Our Advantage D model was only slight improvement on Sy Harding's Strategy, but both are a significant improvement over buy & hold. 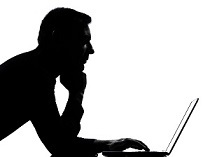 We recently added timing for the DIA ETF to our services. We apply the same timing formula to the Dow Jones Industrials Averages as we do for our other large cap funds, but we use the DIA ETF to derive timing signals since this improves the returns when investing in this fund. 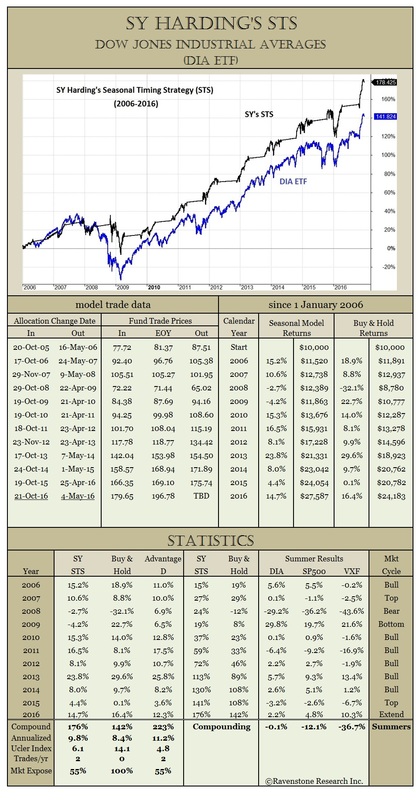 Let's look at the details since 2006 for both strategies.